If you’ve been fitted with a crown years ago and/or by another dentist, you probably remember the process: having the tooth prepared on the first visit and having an impression made with “goopy” material, then living with a temporary crown until the permanent one is ready (usually a week or two later); then finally, on the second visit, being fitted with the permanent crown. If that sounds familiar, you’re in for a pleasant surprise! 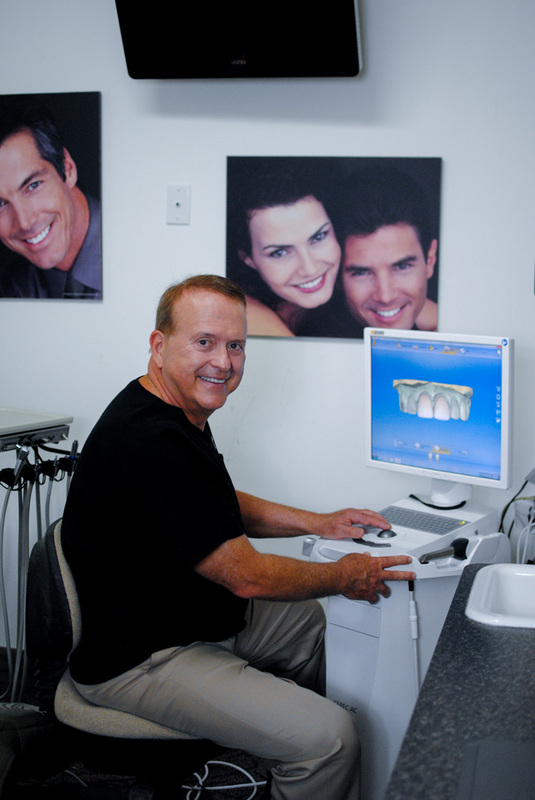 Dr. Parma is pleased to offer his patients the new CEREC® technology, which allows us to create your permanent crown right here in our San Antonio, TX, office in a single visit, while you wait! Dr. Parma believes that providing his patients with the highest quality dental services possible requires staying up-to-date and utilizing all the recent advancements in dental technology, and that includes CEREC® same-day crowns. Dr. Parma uses a digital scanner on the patient’s teeth, then creates the permanent crown using one of the most durable porcelains currently available. Not only do our same-day crowns require only one visit to our office; they’re extremely strong and highly resistant to cracking or breaking. Dr. Parma also utilizes is own porcelain oven to create a crown that is as close as possible to the shade of your natural teeth. Because the shade is a near perfect match, the crown is virtually impossible for other people to detect! All of this is possible in a single trip to our office. The procedure involved with same-day crowns starts with Dr. Parma removing any decay present in the tooth, then using the digital scanner to create an optical image that will be used to create the crown. Thanks to CEREC®, there’s no need for messy impression material or living with a temporary crown for any period of time, and you’ll only need to visit our office once for your new crown. If you’d like to find out more about this revolutionary new dental technology, contact us today. We’d be glad to schedule an appointment for you to meet with Dr. Parma to find out more about CEREC® same-day crowns.